Review contributed by Katie Millard. Full disclosure: I love the Diablo franchise. I turned on the computer once when I was 11 and there it was: the future love of my young gaming life. 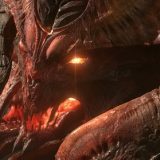 Like many Diablo fans, I have sunk hundreds of hours and multiple playthroughs into Diablo 2 while waiting (…and waiting…and waiting) for Diablo 3 to release. D3 was a very different style, and I have to admit I was a little disappointed by it initially. But I grew to love it, and I’m not ashamed to admit that I own it on more than one platform. I, like many fans of the franchise, was delighted to hear that a new, portable version would be available for Nintendo Switch. Five years after its initial 2013 release, and despite Blizzard’s statement earlier this year that D3 would not be available on the Switch, the news that D3 would be available to play on the go was not necessarily surprising given the success Nintendo has seen with the Switch over its lifetime so far. Here’s the lowdown, for those of you who haven’t played Diablo 3 before (those of you who have, jump down a paragraph or two). 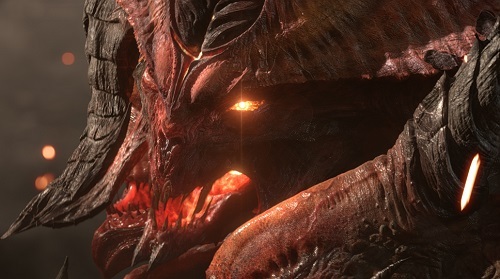 Diablo 3 is a fantasy loot-based action RPG dungeon crawler. You choose a character – Monk, Barbarian, Demon Hunter, Witch Doctor, Wizard, Crusader or Necromancer. You choose a gender. You play. Delightfully, you are given a backstory specific to the character you have chosen, rather than a generic rundown of events, and dropped onto the road leading to the village of New Tristram, where the dead are rising and attacking the village. The idea is similar to those of previous Diablo games: kill monsters, obtain money/items, improve character, repeat. Somehow Blizzard has turned what could be a very boring, repetitive game into a varied, addictive one. The music is subtle rather than overpowering, the art style is bright and beautiful while retaining Diablo’s gothic feel, and the game allows you to play comfortably at whatever difficulty level you prefer. Diablo 3 takes place an unspecified large number of years after the events of Diablo 2, where Deckard Cain (arguably the most annoying NPC in gaming history!) has gone missing, only to be replaced by his equally-annoying niece, Leah. You’re tasked with helping Leah search for her missing uncle, in the process uncovering the details of the larger plot of the game. Diablo 3 is the first of the Diablo series to be available on console, and the local co-op multiplayer allows you to easily share the journey with up to three friends. Story progression is maintained across each player’s character as well – meaning you don’t lose your progress in the game if you aren’t hosting, unlike other co-op games. The downside of the console is that you lose the point-and-click precision of the PC version, instead gaining direct control of your character’s movements, as opposed to the passive “go here” feel on PC. The Switch performs well on a technical level in both docked and portable modes. The framerate is a solid 60 FPS, the graphics have not lost any discernible fidelity, and there are limited load times. The portability of the Switch does present some issues, though. Firstly, the small screen in combination with a text-heavy game does leave you with some serious eye strain after a while. I found myself pulling the screen up to my face often to read the tiny text, and putting it on a table to share with a friend while you are both trying to learn to play simply isn’t feasible. I would definitely recommend playing on a TV initially until you get used to the controls as it would be hard to learn how to play when the screen prompts are screen prompts for ants. Secondly, when using a single joycon to play, the button mapping changes by necessity. Unfortunately, not all of the button mapping is on the screen (although a lot of it is), and the way to access the menu to check the controls requires a lot of fidgeting and pressing two unrelated buttons at the same time. I consider myself a reasonably clever girl, and it took me a good five minutes to work out what the previously-unused button combination was to get into the main menu. Upsides to the single joycon are that it allows a two-player co-op sessions without carrying around extra controllers, and throwing WAVING the controller for dodge rolls can be fun, if not particularly responsive. Finally, the new additions for the game on Switch: There is a new pet, the Cucco (Zelda chicken, very cute); a new transmogrification, Ganondorf armour set (Zelda villain, very cute); and, from December, an Amiibo of the treasure goblin. The Switch game also allows for local communication with nearby Switches, for when you and all your friends want to have a new-age LAN party on your roof. Finally, the game has unlocked Adventure mode from the beginning of the game, a feature that was previously locked until the player had completed story mode. Overall, I would be comfortable recommending Diablo 3 on Switch to any lover of the Diablo franchise or similar games. I’d almost go so far as to call it the definitive version of D3: it provides all of the upsides of the home console experience without the loss of technical specs that one generally would find in a portable, while allowing for an easy out-of-the-box co-op that doesn’t necessitate the purchase of extra controllers. 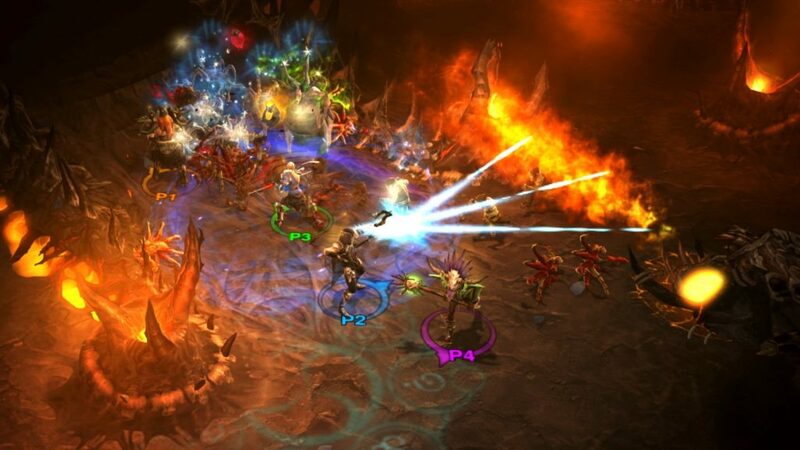 If, somehow, you have an interest in top-down or isometric dungeon crawlers and HAVEN’T heard of Diablo – go and ask for it for Christmas. I promise you won’t be disappointed.